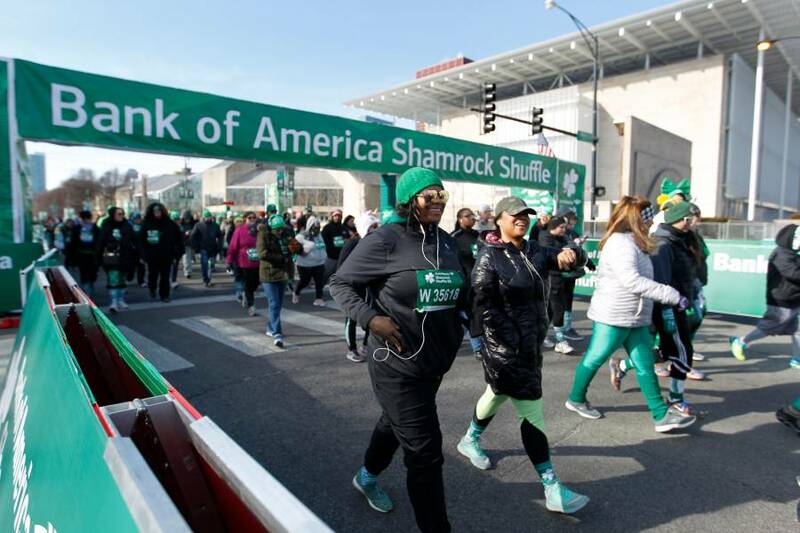 Sunday marks one of Chicago’s best running celebrations; the Bank of America Shamrock Shuffle continues the St. Patrick’s Day celebration and kicks off the spring running season in Chicago. This year marks 40 years of shuffling in the city, so help celebrate on March 24 as a runner or spectator! The event offers an 8k run, which weaves through downtown Chicago, and a 2-mile walk along Chicago’s lakefront. Both distances start and finish in Grant Park. The Bank of America Shamrock Shuffle 8K run will have two on-course aid stations at miles 1.6 and 3.6. Each aid station will offer Gatorade® Endurance Formula (lemon-lime), water, medical support and toilet facilities. The 2-mile walk will have one on-course aid station offering water and toilet facilities. New this year is a one-mile event on Saturday, March 23. Entries are limited to the first 1,000 to register and will feature four waves that highlight Chicago’s diverse running community: recreational, competitive masters, competitive, and elite. All participants will receive a commemorative medal, festive winter hat, and one drink ticket to redeem at the post-race party in Grant Park. If you can’t be at the event, encourage your runners by watching the finish line live stream on nbcchicago.com and telemundochicago.com, which will be available from 8 – 11 a.m. on race day.